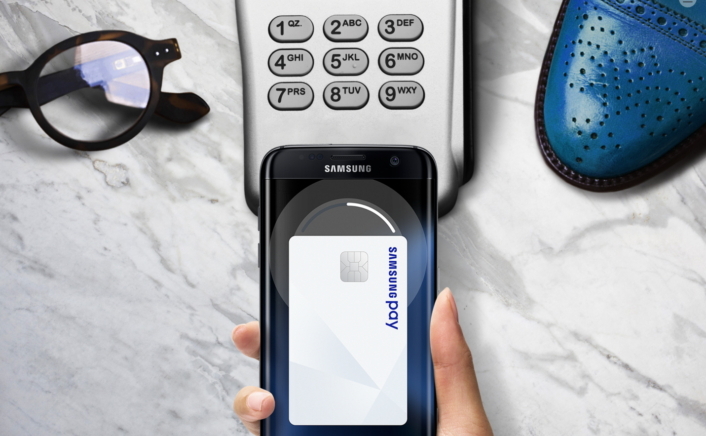 Samsung Electronics and China UnionPay (CUP) announced the launch of Samsung Pay in China. A simple, safe and easy-to-use mobile payment service, Samsung Pay works virtually anywhere you can swipe or tap your card in China. Samsung Pay will enable users to safely manage and use their debit and credit cards on eligible Samsung mobile phones with CUP. “China UnionPay attaches great importance to the security and innovation of payment. In order to follow the tendency of mobile payment in both China and abroad, CUP cooperates with industry to bring safe and convenient mobile payment experience for millions card holders. With the joint efforts of banks and Samsung, based on the safety testing and certification by relevant national testing agency, CUP QuickPass starting Samsung Pay service will bring users safer and more convenient mobile payment choice.” said Hu Ying, Assistant President of UnionPay. Samsung Pay will eventually include future support for select credit and debit cards from six additional banks including Bank of China, Bank of Beijing, Bank of Communications, China Bohai Bank, Industrial Bank and Shanghai Pudong Development Bank. Samsung Pay continues to strategically expand its partnership ecosystem to provide greater flexibility, access, and choice for customers. To make a payment with Samsung Pay, consumers simply swipe up from Home bottom whether the phone screen is locked, going black or in home screen, scan their fingerprint and pay, which is quite easy and convenient. In term of safety, Samsung Pay has three layers protection, which are fingerprint authentication, tokenization and KNOX. Because of innovative technology, Samsung Pay can be used on both QuickPass POS terminal with NFC and more POS terminals without NFC technology, which is more accepted than other similar applications with only NFC technology. *Availability may vary by country and region. **Visit http://support-cn.samsung.com/samsungpay/#box03 for the list of partners that support Samsung Pay.